The Sighthill Stone Circle – hailed as a mini Stonehenge – was completed in 1979 and is the first of its kind in the UK for 3,000 years. But Glasgow City Council want to transform Sighthill into an athletes village if it wins its bid to host the Youth Olympic Games in 2018. The £250million regeneration will go ahead regardless of whether the city wins the games bid. 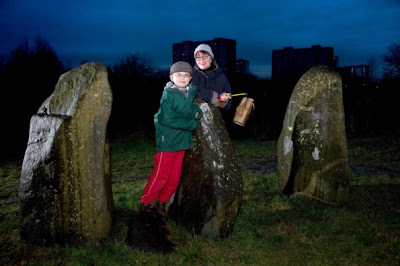 That means the astronomically-aligned stone circle in Sighthill Park is under threat. A petition has so far attracted 500 signatures – with backing from well-known faces including writer and artist Alasdair Gray andGlasgow musician Stuart Braithwaite, founder of Mogwai. Duncan Lunan, who created the Sighthill Stone Circle, said: “My wife Linda and I were asked to a meeting with the council and were told to our complete shock that the ‘circle is going and there’s nothing you can say to change it’. “There’s definitely a lot of people that don’t want it to go. So many people in signing the petition have gone on to say why they go there. The Sighthill circle was designed by Duncan and erected by the Glasgow Parks Department Astronomy Project between 1978-79. It’s dedicated to four prominent experts in the field of ancient astronomy, all with close connections to Glasgow. Following the change of Government in 1979 the circle was never completed, and it has never become the local and visitor attraction which was intended. Four unused stones lie there to this day. Duncan organised a mid-winter solstice at the stone circle last Friday. A Glasgow City Council spokesman said: “The 2018 Youth Olympic Games bid is a very exciting opportunity for the city. “The redevelopment of Sighthill is a key component of our bid. Even if we do not win the bid, Sighthill will be transformed 20 years earlier than it would otherwise have been. English Heritage will once again allow people access to Stonehenge for the celebration of the Winter Solstice, the first day of the winter season. Sunrise is at 8.09am on Friday 21 December and visitors will be able to access the monument as soon as it is light enough to do so safely. Entrance will be available from roughly 7.30am until 9am, when the site will close - before re-opening as per usual to paying visitors at 9.30am. 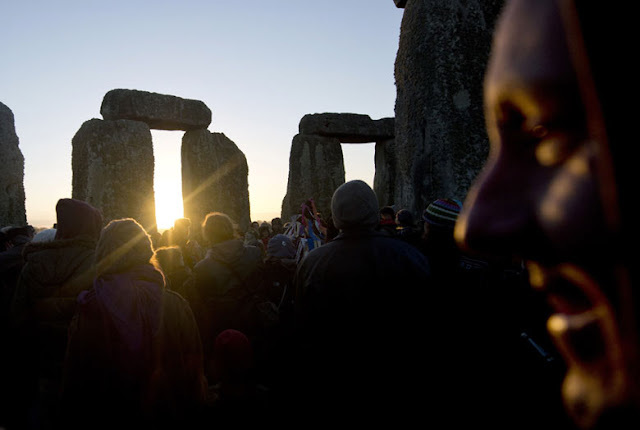 The exact time of the Solstice this year, when the Earth’s axial tilt is farthest away from the sun, is at 11.11am on 21 December, however it is generally accepted that the celebration of this special event takes place at dawn and therefore access is permitted at Stonehenge earlier that morning. 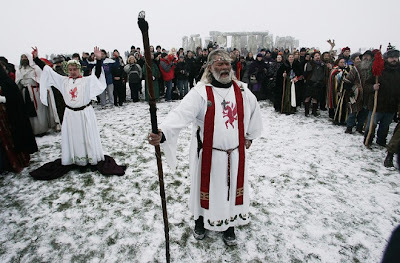 Over the last few years, the popularity of Winter Solstice has grown considerably, with many families and young people joining the druid and pagan community in the celebrations. 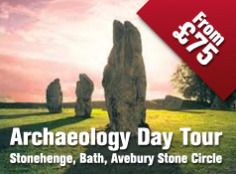 Explore the Bronze Age monuments of the Stonehenge landscape (24th November 2012) with Sonia Heywood ' you'll soon discover that they are much more than simple burial mounds. Investigated by curious antiquarians in the last 300 years, they have a 4,000 year history that tells us much about our past. 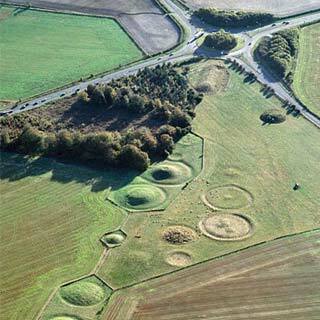 On our four mile walk we'll be visiting the Cursus Barrows, Winterbourne Stoke Barrows and the Monarch of the Plain. We'll also have fine views of the King Barrows and Normanton Down Barrows.All walks are booking essential. Details such as start points will be sent on booking. Meeting at the Stonehenge car park (not NT) by the bright green National Trust information panel. A car parking charge applies for non-members of the Trust or English Heritage. Dress for the weather and wear stout footwear. Access is by pedestrian gates; most terrain is grassland, often uneven underfoot. Cattle and sheep graze the gently sloping downs. Please note, we may be crossing the A344 road, at your own risk. This walk is run in partnership with Salisbury & South Wiltshire Museum - accompanying artefact handling sessions are available at the museum, priced £6, or £5 if booked alongside this walk. Contact the Museum on 01722 233151 or see www.salisburymuseum.org.uk for information and to book. For details and to book, contact our booking office on 0844 249 1895. 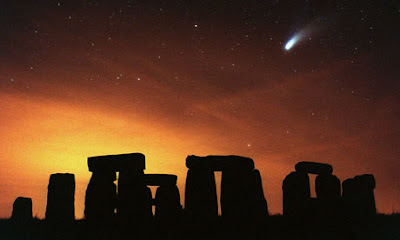 Will the world end on the Winter Solstice 2012, like the Mayan Calendar? Many prophecies about the end of the world surround this date because it corresponds to the last day of the Mayan calendar. 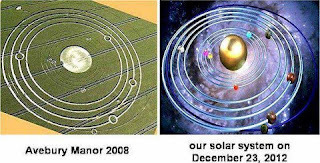 Another theory involves a 'polar shift', which means a reversal of the north and south magnetic poles. 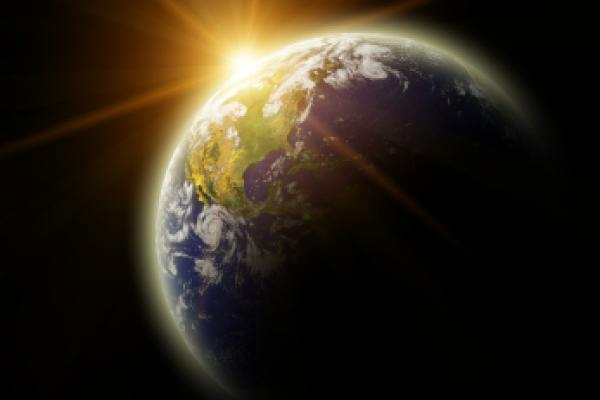 Scientists believe that the Earth is overdue for a geomagnetic reversal. However this can take up to 5,000 years to complete and does not start on any particular date. 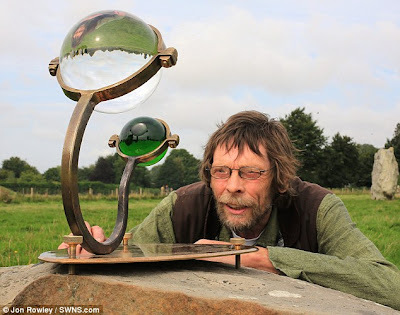 Just a new beginningNASA scientists have been thoroughly studying and analysing the possibility of the Earth ending in 2012, but concludes that 21st December 2012 it will be nothing more than a normal December solstice. There is simply no scientific evidence to support any claims of an apocalypse on Earth in December 2012. In response to theories about planetary alignments leading to an apocalypse on Earth on December 21, 2012, the scientists say no planetary alignments will occur in the next few decades. But even if they did, the effects on our planet would be negligible. NASA also say the 'polar shift' theory is totally impossible. Although continents move slowly throughout time, a magnetic reversal is very unlikely to happen in the next few millennia and wouldn’t cause any harm to life on Earth. The December solstice has played an important role the lives of many people in ancient times. To this day, the world is still influenced by various traditions linked to the observance of the December solstice. Wiltshire Crop Circle Connection ? A curious crop circle formation that appeared near Avebury Stone Circle in 2008 links our solar system this December 2012. Six months of work to a roundabout near Stonehenge in Wiltshire has started. New lanes are being added to the Longbarrow roundabout, at the junction of the A360 and A303, and its centre is to be realigned. 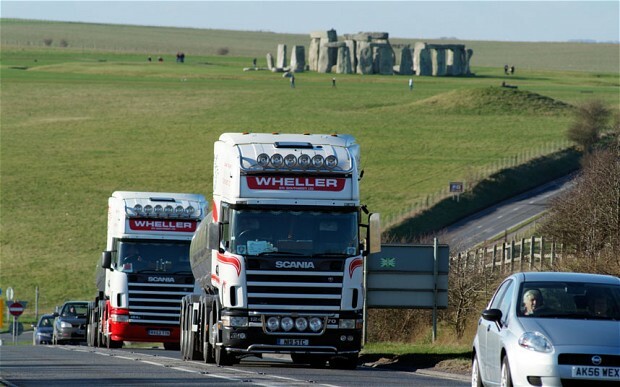 The Highways Agency says the work is needed in preparation for the closure of the A344 which runs beside the Stonehenge monument. 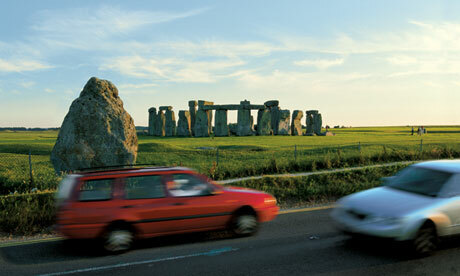 It is part of a £27m project to build a visitor centre and also grass over the stretch of road near the stones. The 3,500-year-old World Heritage site receives more than one million visitors a year. Once the A344 has been shut, the northern and eastern approach to the roundabout will need to take the extra traffic caused by the closure. 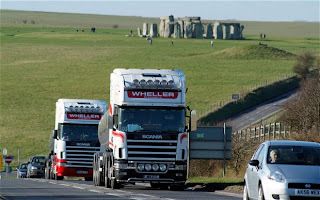 Mark Arberry, from the Highways Agency, said: "This is an important contribution to the long term management plan for Stonehenge to improve the setting of the monument and ensure its preservation as an iconic World Heritage Site." A short film selling Wiltshire as a winter tourist destination is playing to people on the London Underground. It has been produced by Visit Wiltshire as a way of boosting tourism throughout autumn and winter. "We hope to inspire people on the Tube to explore the county and remind them it's only 90 minutes away," said Fiona Errington of Visit Wiltshire. The film is showing at 13 Underground stations until 12 November. Tourism generates an estimated £1bn to Wiltshire's economy each year and supports more than 20,000 jobs. First high-resolution laser survey of ancient site shows importance of solstices and efforts to make those events more dramatic. Photonics technology has revealed in unprecedented detail the efforts made by prehistoric people to celebrate the summer and winter solstice at Stonehenge, the ancient man-made monument in the south of the UK. Thought to have been erected between 4000 and 5000 years ago, the monoliths at Stonehenge are arranged in such a way that they align with the exact position of the Sun as it rises on the day of the summer solstice, and as it sets on the winter solstice. 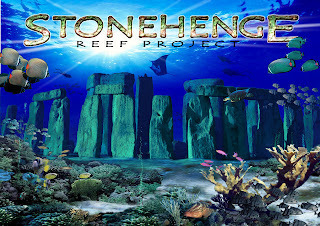 Now, using a three-dimensional laser scanner provided by the German company Z+F, surveyors and archaeologists have discovered that the stones aligned along the north-east to south-west axis of Stonehenge were specially shaped and worked to highlight their particular significance, with the technology revealing features that had previously been thought likely to have weathered beyond all recognition. “To approach and view the stone circle from this direction means that the midwinter sunset had special meaning to prehistoric people, and that they made deliberate efforts to create a dramatic spectacle for those approaching the monument from the north east,” noted the organization. Analysis of the laser survey has also shown that the stones on the outer sarsen circle, which are visible when approaching from the north-east direction, have been completely “pick dressed” – meaning that the brown and grey crust on the surface had been removed, exposing a fine, bright grey-white surface. In contrast, the outer faces of surviving uprights in the south-western segment of the circle were not pick dressed. The laser scanner collected data with a resolution of 1 mm across the entire stone circle, and of just 0.5 mm for four stone surfaces of particular interest. It revealed more than 700 surface features in all, including damage, graffiti and conservation efforts as well as the prehistoric carvings and markings. 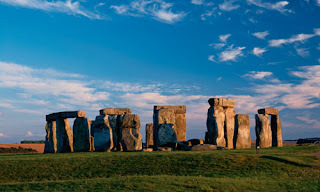 The analysis is groundbreaking, in that it represents the first time that results of such a high-resolution, sub-millimeter laser scan have been published for a project on the scale of Stonehenge. “Other large monuments have been subject to high-resolution survey, [but] this project is the first attempt at applying high-resolution survey to investigate a monument of this size and importance,” notes English Heritage in its analysis report. 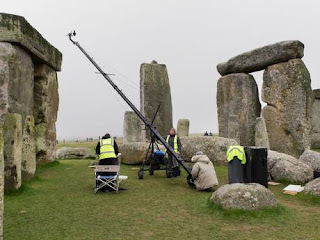 English Heritage also says that the suite of techniques developed for the Stonehenge projects can now be used in other conservation projects, including the new method of “luminance lensing”. This approach, which the organization expects to have wide-ranging applications, can be used to analyze detailed data “meshes” of the sort generated by laser scanning. The laser scan has also helped to shed some light on some of the longest-running controversies between archaeologists regarding Stonehenge. One of those is the suggestion that the monument, with its fallen and apparently missing stones, was never actually completed – a theory that is still hotly debated today, with others believing that the “missing” stones were in fact stolen from the completed circle at various points in time. 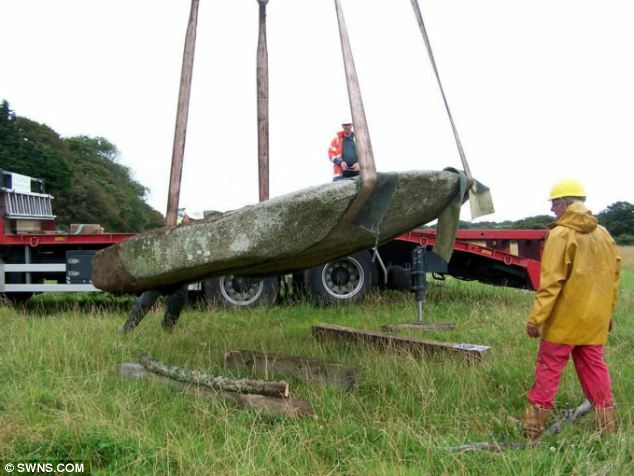 The theories for the “non-completion” case typically focus on the use of small, irregular and inadequate stones that have since fallen down, the absence of many stones from the south-western side of the monument, and the absence of any evidence documenting the removal of stones. Stressing that the laser scan and analysis only informs (rather than solves) the ongoing debate, the English Heritage report says that new information from that scan “has revealed that significant portions of most fallen stones have been removed from Stonehenge”, adding that “fallen stones were easy prey for stone robbers”. 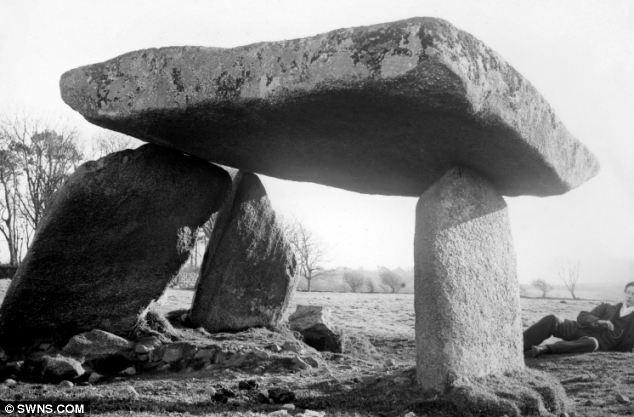 Overall, concludes the report, 27 of the original 30 upright stones of the original circle were “certainly erected”, adding that there is no convincing evidence that the circle remained incomplete. 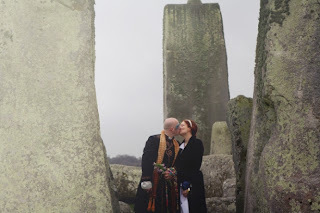 “In the light of the significant degree of stone robbing, it is possible that a complete Sarsen Circle once existed,” it suggests. One thing that does not appear to be under debate is the success of the latest laser scan (Stonehenge had previously been laser-scanned in 2003, but at lower resolution), and how optical technologies can contribute to high-profile conservation and archaeology projects. “By far one of the most encouraging and exciting aspects to this project is that even though Stonehenge has been subject to decades of extensive study, the application of cutting-edge technology has brought significant new discoveries,” the report concludes. For part of its existence as an ancient temple,Stonehenge doubled as a substantial prehistoric art gallery, according to new evidence revealed yesterday. Stonehenge Close up. Led by one of English Heritage’s experts. Gain a rare and fascinating insight into the famous World Heritage Site with an exclusive tour around the site led by one of English Heritage’s experts. 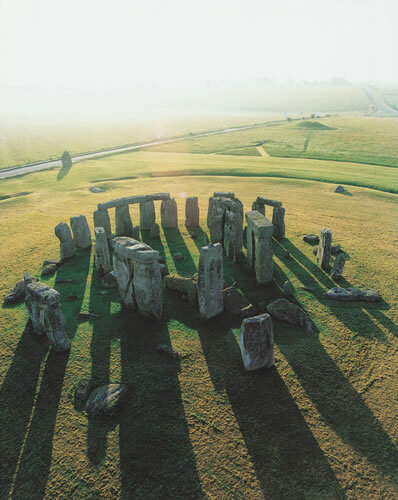 Start the tour with exclusive early morning access to the stone circle at Stonehenge accompanied by our expert. Visit key archaeological sites including Durrington Walls, Woodhenge and The Cursus and learn more about the archaeological landscape and investigative work that has gone on in recent years. Includes tea, coffee and a breakfast roll.The morning will start with access to the stone circle from 8am until 9am, then the tour will continue by coach taking in Durrington Walls and Woodhenge. After a break for refreshments we will continue to explore Kings Barrow Ridge and The Cursus.This event has been graded as Moderate Access due to the amount of walking and the ground conditions. Part of the walking routes are on steep, uneven paths. Tickets are available to book from 10am on Thursday 18 October by calling our dedicated ticket sales team on 0870 333 1183 (Mon-Fri 8.30am - 5.30pm, Sat 9am - 5pm). 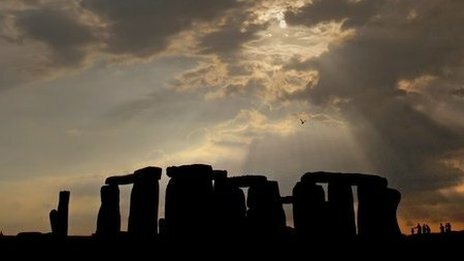 English Heritage is undertaking a major project to improve the setting of Stonehenge and to provide new facilities for visitors. A major part of this project is the build of a new, sensitively designed and environmentally sustainable visitor centre. The visitor centre is due to open in Autumn 2013. A key aim for the new Stonehenge visitor centre, is to ‘create a sense of prehistoric people using, working and living in the landscape’. To meet this objective an external gallery will be created. In this space, three life-size Neolithic houses will be constructed, based on those excavated at nearby Durrington Walls. Using archaeological evidence and authentic materials, this will create an interactive and experiential space, providing a real and tangible link for visitors to the distant past. Visitors will be able to walk into these houses, see how people may have lived 4,500 years ago and experience something of the lifestyle of the builders who constructed Stonehenge. The houses will be prototyped at Old Sarum Castle in early 2013. The contractor will work with volunteers supplied by English Heritage to gather the necessary materials and then erect the prototype houses. This process will inform the construction of the houses at the visitor centre. If you have ever heard the phrase "once in a blue moon," you might have wondered if there is an actual blue lunar body in our wonderous world somewhere. In fact, there is, but it isn't really blue. The term refers to the occurrence of two full moons within one calendar month, and Friday, August 31st, you'll be able to catch it twice. Anthony Cook, an astronomer at the Griffin Observatory, explained how and when to catch the moon. First, you'll be able to see it Friday morning between 6:30 a.m. and 7:00 a.m. on the West Coast, and then again when it comes into view at around 7:13 p.m. Although the phenomenon may not be noteworthy enough to change your schedule to see it, most will be able to take a look at one time or another if they look at the sky. Although the moon isn't actually blue, there is a chance that it might be rather orange tomorrow when it shows itself, but Cook said that it would most likely simply be a very bright shade of white. 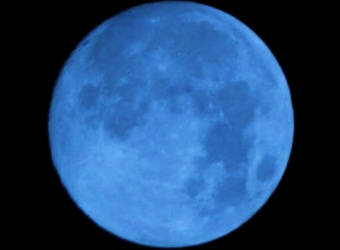 He said that there was "nothing unusual really" about the blue lunar body, adding, "It will look like the usual moon." Oddly, there are some atmospheric conditions that could make the blue seem to be blue, but they have nothing to do with the actual blue moon phenomenon. The occurrence is fairly rare. The last time one was present was December of 2009. "The next time will be on July 31, 2015," Cook said. It is likely that if the moon does turn orange, or blue or any other color, that someone will announce that it's the end of the world. However, don't be alarmed. The end isn't here...yet. 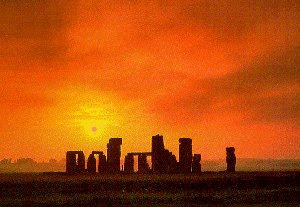 WHAT the Neolithic peoples who built Stonehenge really thought when they stood back and admired their handiwork will forever be a mystery. What is almost certain is that they didn’t bounce up and down on it – unlike the inflatable version in Parliament Hill fields. However, yesterday, queues of up to 300 waited patiently for their turn for a leap on Sacrilege, an inflatable bouncy castle-style installation dreamt up by artist Jeremy Deller. Everybody, from toddlers to pensioners, were lining up for a go, despite a spot of drizzle. This “interactive” artwork is a 110-ft wide creation and has been touring the country before Mayor of London Boris Johnson’s office booked it as part of the capital’s celebrations for the Olympics. Not all the bouncers, however, were clear on Stonehenge’s history. 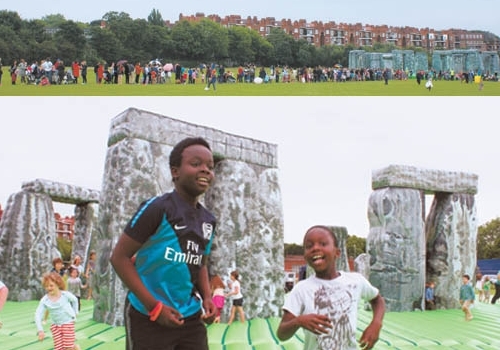 Sacrilege’s creator artist Jeremy Deller said his bouncy creation was “a way for everyone to learn about these places in quite a silly way.” “It is difficult not to like it when you are bouncing around on it,” he added. “City Hall teamed up with us but Boris has not had a bounce on it, even though it is really up his street in so many different ways. The bouncers kept on coming. 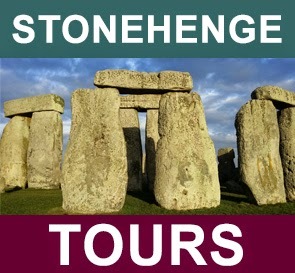 Lucy Brooks added: “There are tours to Stonehenge but they cost quite a bit of money. But this is awesome, without spending any money or leaving London we have seen some of our great British heritage on our doorstep.